Draft: 2010, St. Louis Cardinals, CAth rd. July 20, 2017 El Paso Chihuahuas released RHP Tyrell Jenkins. July 18, 2017 El Paso Chihuahuas activated RHP Tyrell Jenkins from the 7-day disabled list. July 1, 2017 El Paso Chihuahuas placed RHP Tyrell Jenkins on the 7-day disabled list. 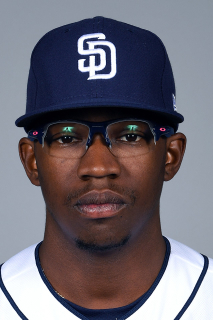 June 10, 2017 San Diego Padres sent RHP Tyrell Jenkins outright to El Paso Chihuahuas. March 20, 2017 San Diego Padres optioned RHP Tyrell Jenkins to El Paso Chihuahuas. January 3, 2017 San Diego Padres claimed Tyrell Jenkins off waivers from Cincinnati Reds. December 23, 2016 Cincinnati Reds claimed RHP Tyrell Jenkins off waivers from Texas Rangers. December 21, 2016 Texas Rangers designated RHP Tyrell Jenkins for assignment. December 8, 2016 Atlanta Braves traded LHP Brady Feigl and RHP Tyrell Jenkins to Texas Rangers for RHP Luke Jackson. September 17, 2016 Atlanta Braves recalled RHP Tyrell Jenkins from Gwinnett Braves. August 21, 2016 Atlanta Braves optioned RHP Tyrell Jenkins to Gwinnett Braves. June 16, 2016 Atlanta Braves recalled Tyrell Jenkins from Gwinnett Braves. March 12, 2016 Atlanta Braves optioned RHP Tyrell Jenkins to Gwinnett Braves. October 5, 2015 Atlanta Braves recalled Tyrell Jenkins from Gwinnett Braves. September 4, 2015 Gwinnett Braves activated RHP Tyrell Jenkins from the 7-day disabled list. August 17, 2015 Gwinnett Braves placed RHP Tyrell Jenkins on the 7-day disabled list. July 8, 2015 RHP Tyrell Jenkins assigned to Gwinnett Braves from Mississippi Braves. March 16, 2015 Atlanta Braves optioned RHP Tyrell Jenkins to Mississippi Braves. November 19, 2014 Atlanta Braves selected the contract of Tyrell Jenkins from Mississippi Braves. November 17, 2014 St. Louis Cardinals traded RHP Shelby Miller and RHP Tyrell Jenkins to Atlanta Braves for RF Jason Heyward and RHP Jordan Walden. November 17, 2014 RHP Tyrell Jenkins assigned to Mississippi Braves. June 17, 2014 Palm Beach Cardinals activated RHP Tyrell Jenkins from the 7-day disabled list. April 1, 2014 Palm Beach Cardinals placed RHP Tyrell Jenkins on the 7-day disabled list. September 3, 2013 Palm Beach Cardinals activated RHP Tyrell Jenkins from the 7-day disabled list. July 7, 2013 Palm Beach Cardinals placed RHP Tyrell Jenkins on the 7-day disabled list. June 20, 2013 RHP Tyrell Jenkins assigned to Palm Beach Cardinals from Peoria Chiefs. June 20, 2013 Tyrell Jenkins roster status changed by Peoria Chiefs. June 9, 2013 Tyrell Jenkins roster status changed by Peoria Chiefs. August 25, 2012 Quad Cities River Bandits placed RHP Tyrell Jenkins on the 7-day disabled list. June 27, 2012 Quad Cities River Bandits activated RHP Tyrell Jenkins from the 7-day disabled list. June 3, 2012 Quad Cities River Bandits placed RHP Tyrell Jenkins on the 7-day disabled list. April 2, 2012 RHP Tyrell Jenkins assigned to Quad Cities River Bandits from Johnson City Cardinals. January 18, 2012 St. Louis Cardinals invited non-roster RHP Tyrell Jenkins to spring training. August 14, 2010 Tyrell Jenkins assigned to Johnson City Cardinals from St. Louis Cardinals. August 13, 2010 St. Louis Cardinals signed RHP Tyrell Jenkins.